PA Speaker Rental in Chicago - Includes (1) wired microphone. 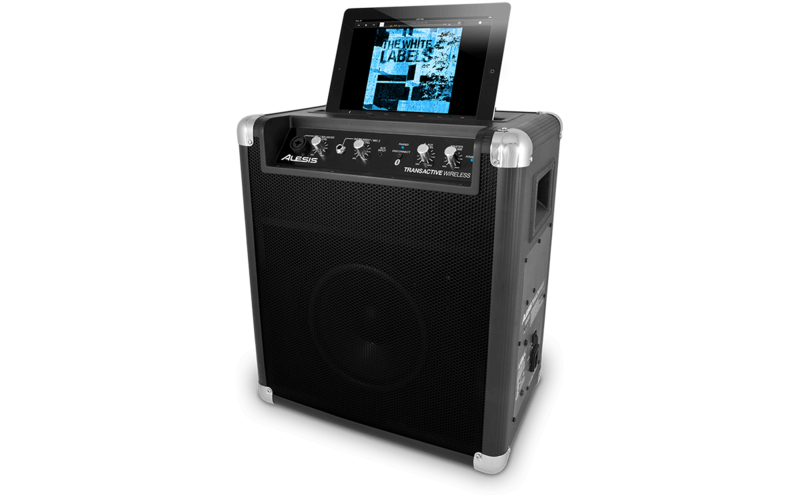 The all-in-one TransActive Wireless is a complete, active PA system speaker designed for on-the-go use. Pull up the telescoping handle, tilt the amp onto the recessed wheels, and take your TransActive Wireless with you wherever you go. Once you’re there, simple single-button pairing allows you to instantly stream audio from any Bluetooth device. This speaker rental is great for crowds that number from 0-30. In addition to Bluetooth streaming, the TransActive Wireless offers a variety of inputs to accommodate almost any source—microphone, guitar, keyboard, computer, drum machine, CD or MP3 player—whatever you need. Use the TransActive Wireless to perform, to play music, or to make your voice heard. The convenient built-in rechargeable battery delivers up to 50 hours of cordless amplification. You can also plug your TransActive Wireless in to an AC outlet for unlimited performance time. So take the TransActive Wireless with you wherever you need to go. You'll spend less time setting up, and more time enjoying your music.